President Barack Obama weighed in on the deepening corruption scandal involving world soccer’s governing body Monday, saying it was essential that the sport’s integrity be ensured. 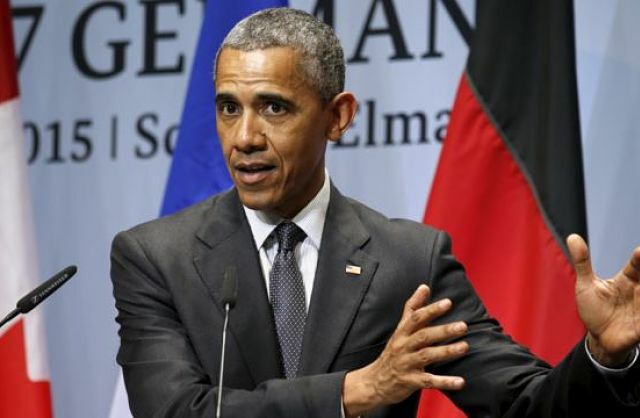 People in Europe and elsewhere want FIFA to operate with “integrity, transparency and accountability,” Obama said in response to a reporter’s question. “The United States … we want to make sure that a sport that’s gaining popularity is conducted in an upright manner,” he said. The indictments unsealed on May 27 in New York targeted 14 soccer executives and sport marketing officials, and revealed guilty pleas by four other executives. The charges rocked the soccer world and ultimately pushed FIFA’s chief, Sepp Blatter, to resign after he initially defied calls to leave. Blatter has not been charged. His resignation likely won’t take effect until at least December, the earliest date for a new FIFA election, according to Domenico Scala, the independent chairman of FIFA’s audit and compliance committee. To gain the rights to host the tournament, the indictments allege, South Africa’s soccer federation allegedly funneled $10 million in bribes to Jack Warner, the former head of the regional soccer organization for North and Central America and the Caribbean. Warner was arrested at a hotel in Switzerland and released on bail. He has denied the charges. In a report last week, Reuters, citing an unnamed U.S. law enforcement official, said the FBI’s investigation includes scrutiny of how the organization awarded those tournaments. “If evidence exists that Qatar and Russia received the [World Cup] awards only thanks to bribes, then the awards could be annulled,” he was quoted by Sonntagszeitung in a report published Sunday.